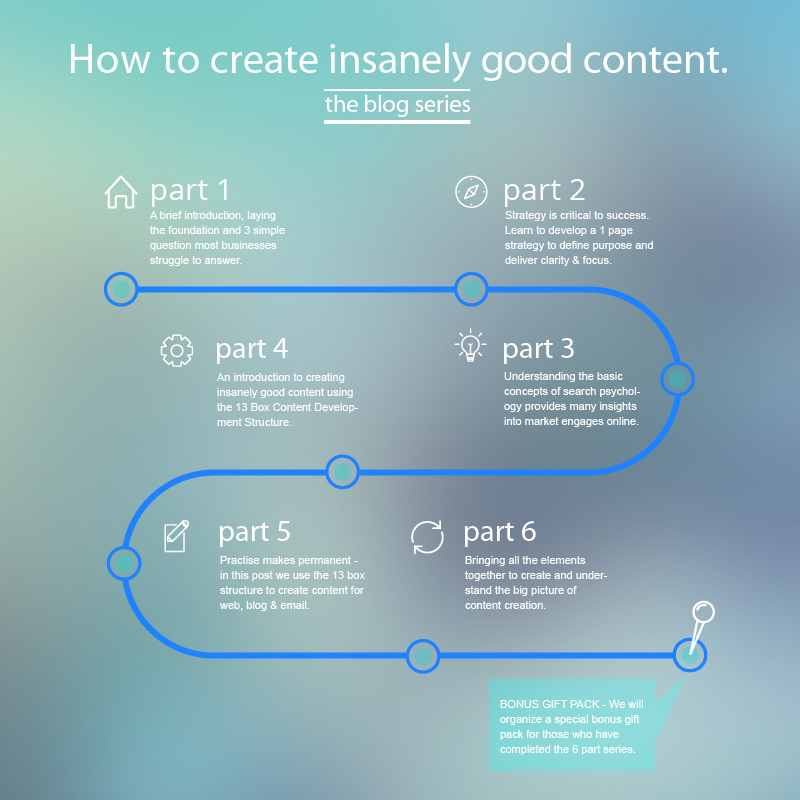 How to Create Insanely Good Online Content? How often do you sit staring blankly at an equally blank screen, wishing that by some form of osmosis it would fill with beautifully crafted content? It’s a constant battle, isn’t it? Crafting fresh, relevant, and engaging content isn’t easy — even if you know your stuff. You need a system to help you speed up the process, so you can get back to the hundred other things on your to-do list. This blog series is designed to provide you with a system that will not only help you to organize your thoughts and craft content faster — but also to do it with purpose, clarity, and focus. In short, we are going to give you a system to help you to create insanely good content. As we get started, you need to take notice of those 3 powerful words: Purpose – Clarity – Focus. 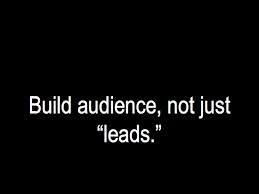 These three words, and their relationship to each other and your business, are critical to the development of both your content and strategy. The core component of this series, This is used by thousands of people around the world, including members of the content team at Constant Contact. It’s a structure I use in my own business to help clients build authority and achieve success. Part 1: Laying the foundation: That’s this post. It’s an introduction, but at the end you’ll be asked three questions that most businesses either cannot answer or struggle to answer. Knowing the answers to these questions is fundamental to establishing clarity and alignment between your business and your target audience. Part 2: Purpose – Clarity – Focus: With over 50 years of combined experience in both the online and business coaching industries, we are still staggered by the number of businesses that don’t have any form of strategy. In part 2, we’ll teach you how to develop a one-page marketing strategy. Part 3: Answering the right now specific: In this post we’ll explain the basics of search psychology, and how to use available tools and analysis as a basis for content that converts. This isn’t about bean counting, it’s about practical steps with practical applications. Part 4: Creating Insanely Good Content (part 1): Here we will introduce you to the content tool box, provide a walk through, and explain how to use the structure. Part 6: The Grand Prize – Putting it all together: In this conclusion post we will bring everything together so you can see the big picture. We’ll cover how strategy focuses you on your market, how understanding search attracts that market, and how you can use content to influence and guide prospects through a series of touchpoints and into your pipeline or sales funnel. Obviously we’re going to be packing a lot of information into this series, so to help you along the way we will be including video and downloadable content. Our suggestion would be that you set some time aside to work through each part of the series as it’s released. One thing that we really, really, need to emphasis here is: None of this is rocket science. People like simplicity, and the bottom line of good content creation is the shared journey. But, as we work through this series it may seem a little disjointed at first, a little like a jigsaw puzzle as we examine the pieces before finally bringing it all together into a complete picture and easy-to-use system. Yes there is a catch… if you can call it that. We want your feedback, the good and the bad. Tell us your experiences with using what you’ve learned through the series so others can learn from you. Let us know if you think we haven’t covered something enough, or need to include something more. We want to help you as much as possible through this series, and to do that we need you to be part of the conversation. Let’s close this out with the 3 questions I mentioned earlier. We’ve asked these questions during our initial client meetings for a number of years because the answers reveal everything we need to know about the level of strategic thinking the prospect has given to their business. Next Post Insagram Spam By New Biz, Need Help? Check here.